DISCLOSURE: I received a free sample of Aveeno Baby Natural Protection Face Stick from Crowdtap to facilitate this review. All opinions are my own. My kids love being outside. They love going to the pool, to the beach and just playing with their bikes and scooters. With them spending so much time outside, I make sure they're protected from the sun. Luckily, they've inherited my skin and tan before they burn. But, I still like to use at least SPF 30 sunscreen on them before they go outside. 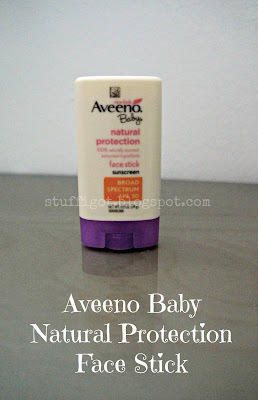 I recently had the chance to try out Aveeno Baby Natural Protection Face Stick Sunscreen. 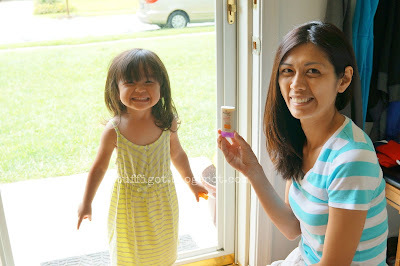 Usually, I use a generic store brand face stick or lotion sunscreen on my kids' faces. On myself, I just use a facial moisturizer than has SPF protection built in. 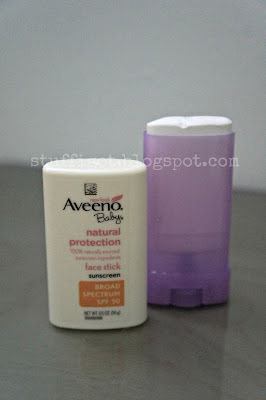 Aveeno Baby Natural Protection Face Stick contains 100% naturally sourced sunscreen ingredients and is SPF 50. It's formulated with ACTIVE NATURALS Colloidal Oatmeal and mineral ingredients (Titanium Dioxide and Zinc Oxide) to help provide a protective barrier on top of the skin for superior sun protection. 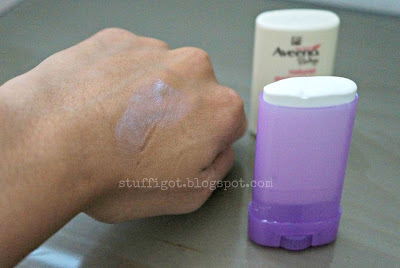 It can be used on sensitive skin, oil-free, fragrance-free, hypoallergenic, sweat and water resistant for 80 minutes. The face stick is white. With other face sticks that I've used, they usually go on clear. Even the liquid sunscreens that are white usually absorb pretty quickly. I found this one goes on white and stays white. You need to really rub it in. That takes time. With four kids to apply sunscreen to, I don't have time to sit there and try and make sure they don't look like ghosts! Plus, they're usually in a rush to get in the pool or to go play and don't want to wait for me to finish rubbing in all the sunblock. I think the only plus with it being white and not clear is I can really make sure I've applied it everywhere. The white sunscreen is really noticeable on my tan skin! My kids, though, don't mind when I use this. Even my son, who hates all spray sunscreen and only likes lotions, let me put it on his face. Though, sometimes, I didn't rub it in well enough and they ended up having white spots on their face and hair. 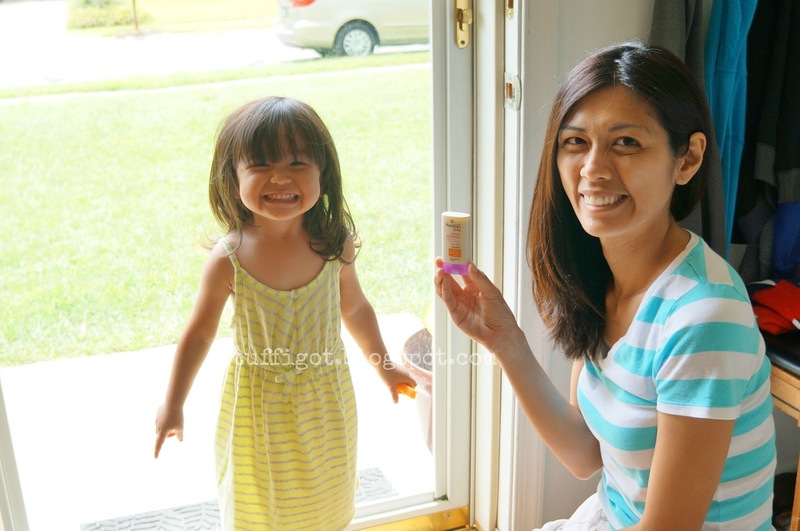 Putting sunscreen on my daughter before we go out to play. 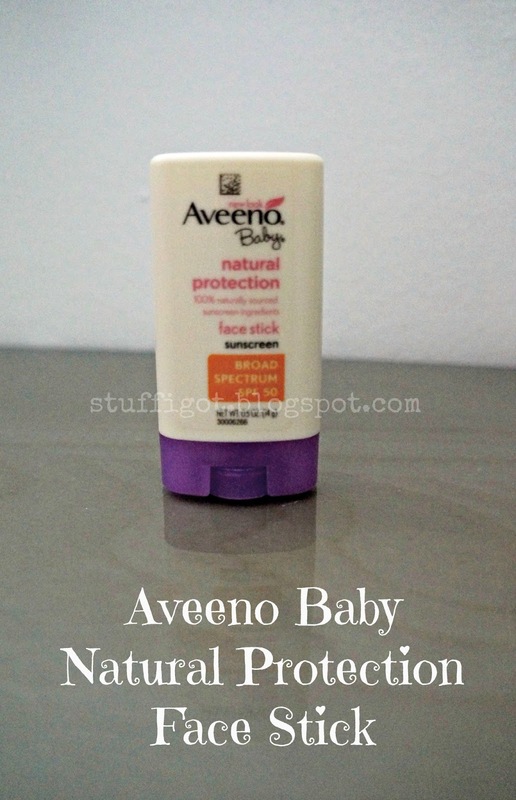 Aveeno Baby Natural Protection Face Stick is available in a 0.5 oz stick. It retails for about $10 and can be found in all major drugstores, mass merchandisers, grocery stores and online retailers.